Prior to the arrival of European settlers in the 16th century, Brazil remained inhabited by indigenous, semi-nomadic tribes, subsisting off a primarily hunter-gatherer lifestyle. In the early 1500s, the Portuguese represented the first group of Europeans to arrive in the region, and under the command of Pedro Álvares Cabral, defended the region against further foreign invasions until the end of colonial rule in the early 18th century. Brazil increasingly established itself as a valuable strategic and economic stronghold, beginning with the boom of the sugarcane industry in the 16th century, which formed the foundation of the Brazilian economy. 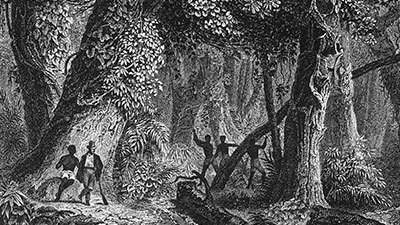 With the increase in large plantations, African slaves were introduced to the land, contributing to the African rich influence in contemporary Brazilian culture. As Brazil became recognised as a major international port, the following 150 years of its history saw other European powers attempt to establish their presence in the profitable industries of the region. French colonists attempted to settle in Rio de Janeiro in the mid 16th century and again in the following century, and Dutch settlers similarly endeavoured to establish themselves along the Eastern coast. Due to the successful defence of the Portuguese establishment against invading powers, little French and Dutch influences were carried into the subsequent eras. In the 18th century, the discovery of gold mines in Brazil led to unprecedented economic growth and international interest, drawing in significant migration from the rest of the continent. Minas Gerais became the centre for the mining of gold in the region, and in 1830, Brazil saw the opening of the largest gold mine in Latin America. This was led and funded by British leadership, revolutionising and modernising the Brazilian mining industry, which continued to flourish into the early 1900s. The relocation of the Portuguese royal family to Rio de Janeiro in 1808 elevated Brazil beyond the status of a simple colony, and was united with Portugal and Algarves in 1815 to form the Kingdom of Portugal. Following the departure of the King of Portugal, Brazil achieved independence shortly afterwards, following the Independence War of 1822. 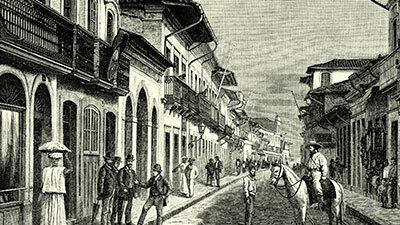 The continuation of Brazil as an export nation saw the diversification of its products into coffee and rubber, shaping and forming the foundation of the economic landscape of Brazil. 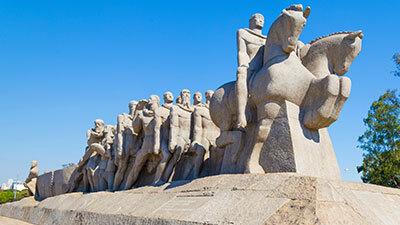 Well into the 20th century, Brazil continued to expand its agricultural development and industrial growth throughout the region, while politically, it remained under the constant changing of powers and structures. After years of political unrest between 1930 and 1985, saw the liberation of Brazil from decades of military dictatorship in 1985, with the nation enjoying its first democratic election in 1989. Today, Brazil represents one of the fastest growing emerging economies — Brazil, Russia, India, China, South Africa (BRICS) — and flourishes with a unique balance of stunning natural beauty and bustling, modernized metropolitans.